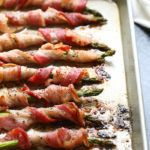 This bacon wrapped asparagus is a fun way to dress up your favorite veggie! 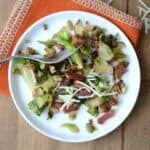 You can make this bacon wrapped asparagus recipe for a tasty side dish for dinner or you can make them for an easy appetizer for a party. Either way, they’re delicious! It’s Sunday-Funday people. 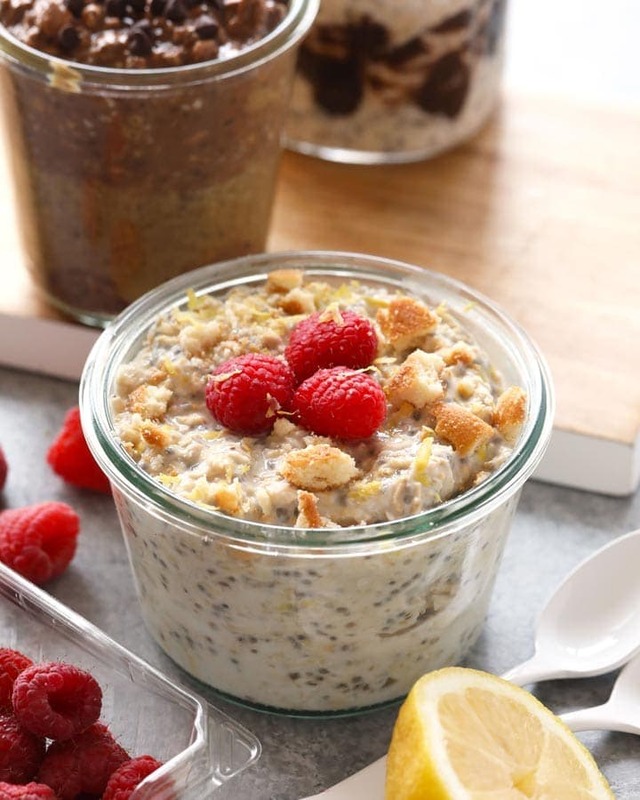 An ideal Sunday is full of late morning z’s, pancakes, some outdoor time, meal-prep, and planning for the week. That is what a Sunday in the summer looks like, anyways! 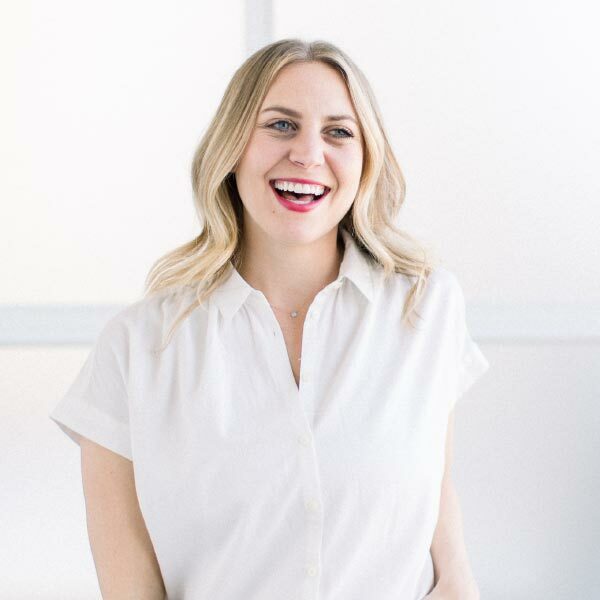 It’s Linley here and I love Sundays no matter what season it is, but it’s August and do not try tell me that you haven’t noticed all of the pumpkin spice memorabilia starting to pop up at Target stores across the globe. Fall is right around the corner and that also means that game day (every Sunday in the fall) is also almost upon us. Yes, I know I know, not everyone is a football person. Yes, I bleed purple (SKOLE Vikes), but honestly, I mainly like game day because I get to hang out with my people and make delicious food—> like this bacon wrapped asparagus! Yes, you will find these delicious healthier appetizers on the menu come game day, but this recipe was created out of our love for bacon wrapped things. 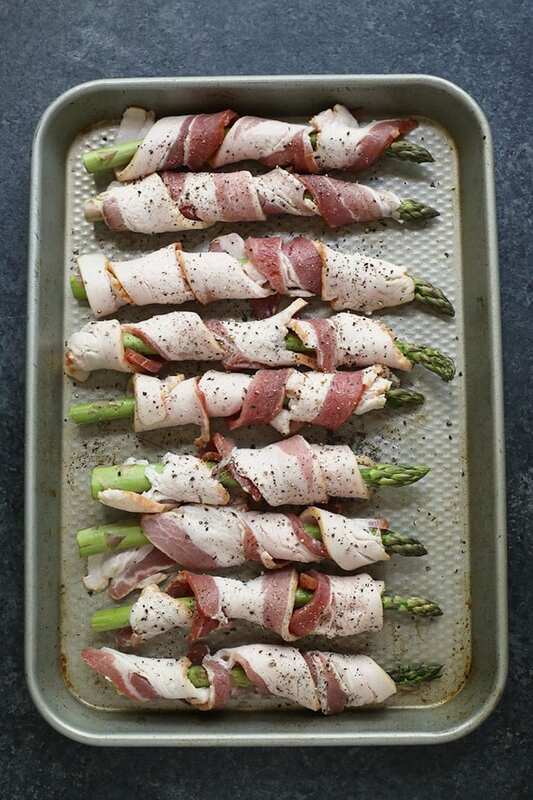 We also thought that bacon wrapped asparagus would be delicious as a side dish like in our Sheet Pan Chicken Meal. 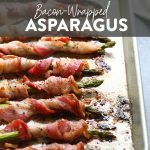 If you like bacon, there is no need to wait until game day to make a batch of this bacon wrapped asparagus now! You can try it in the oven or on the grill. Either way is amazing! 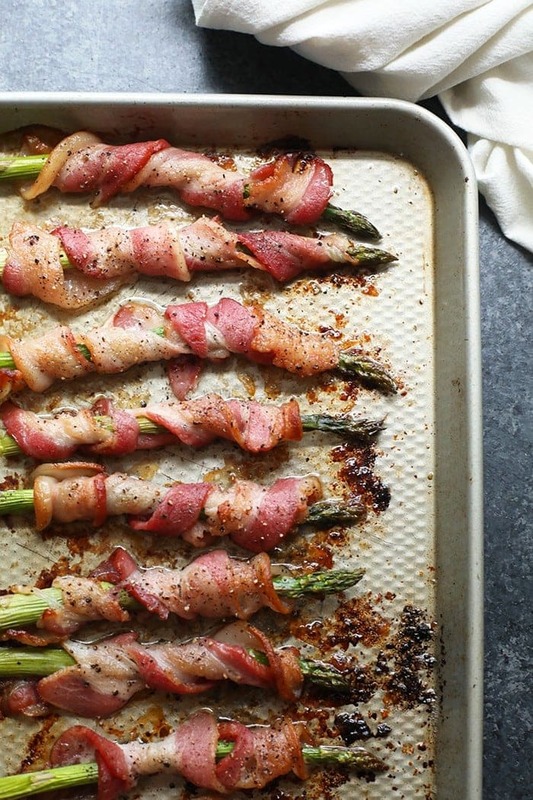 How long do you cook bacon wrapped asparagus in the oven? You cook asparagus for 18-22 minutes in the oven, depending on how crunchy you like your bacon. What temperature to cook bacon wrapped asparagus? 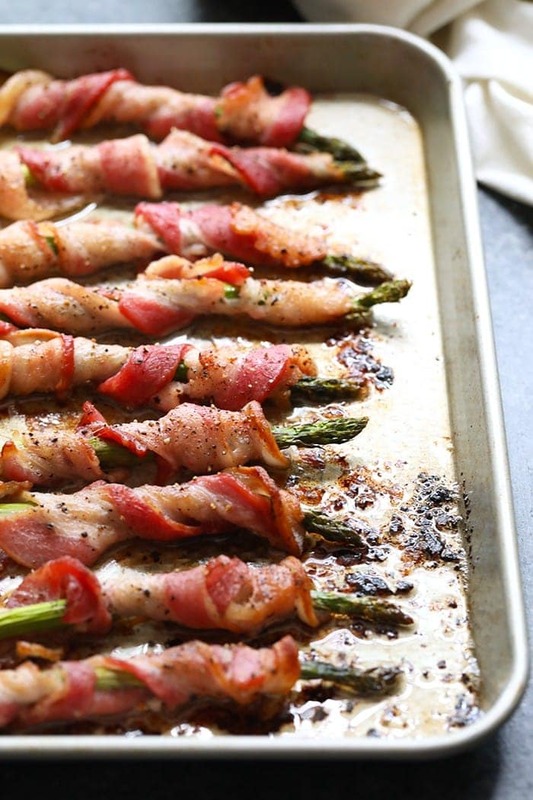 Bake the bacon wrapped asparagus at 400ºF. How do you cook bacon wrapped asparagus on the grill? Heat grill to 400ºF and then place a piece of tin foil down on the grill. Next, lay bacon wrapped asparagus on tin foil. Grill for 18-20 minutes. How do you trim asparagus spears? Usually, if you bend asparagus, it will break where the tender part of the asparagus meets a thicker portion of the asparagus that is not that appetizing to eat. Otherwise, use a knife to cut off the ends of the asparagus. Cut where the asparagus begins to get a bit thicker. It sometimes has a slightly different color. 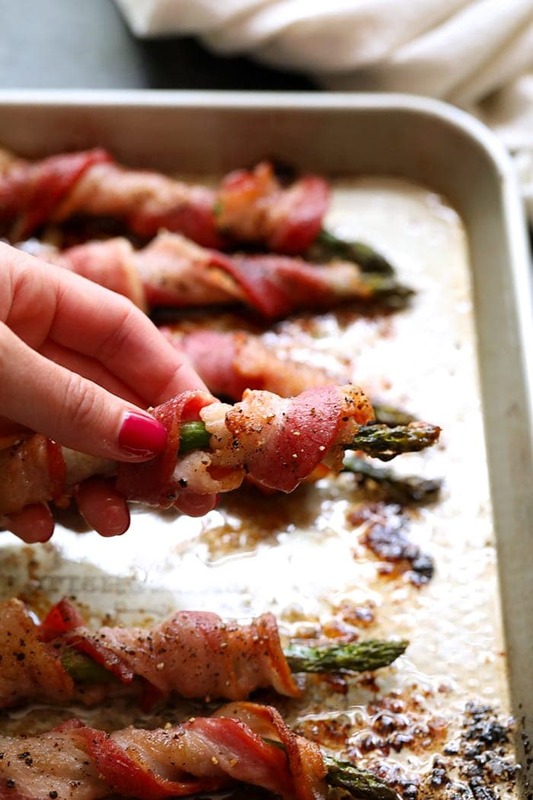 This bacon wrapped asparagus is a fun way to dress up your favorite veggie! 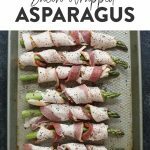 You can make this bacon wrapped asparagus recipe for a tasty side dish for dinner or you can make them for an easy appetizer for a party. Either way, it’s delicious! 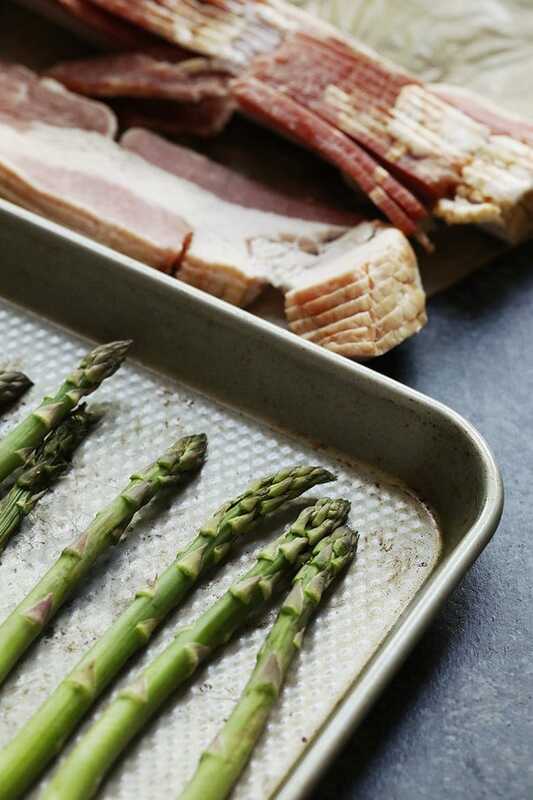 Wrap one asparagus spear with one piece of bacon and place on baking sheet. Repeat process until bacon and asparagus are gone.